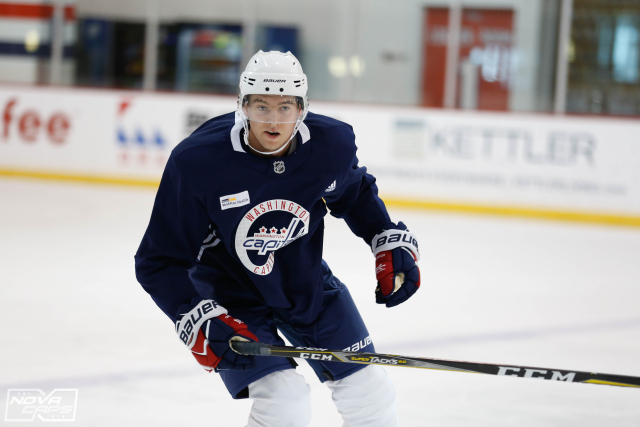 The Washington Capitals have assigned defenseman Christian Djoos to the Hershey Bears (AHL) on a long-term injury conditioning assignment, senior vice president and general manager Brian MacLellan announced today. The move will allow Djoos the time he needs to work himself back into playing condition, and also afford the Capitals a bit of time with regards to a potential roster move that will likely need to be made when Djoos returns to the Capitals lineup. Djoos will return to the ice this afternoon when Hershey hosts the Belleville Senators at 2:00 PM. He will play with the Bears today and Wednesday in Springfield and then return to the Capitals. Djoos, 24, played in 28 games this season, recording four assists, before sustaining an injury on Dec. 11 versus the Detroit Red Wings. The Gothenburg, Sweden, native registered 14 points (3g, 11a) in 63 games in his rookie season last year. Djoos, who recorded a goal and an assist in his first career game on Oct. 11, 2017 against the Pittsburgh Penguins, became the first defenseman in franchise history to record two points in his NHL debut. The 6’0”, 180-pound defenseman led all Capitals defensemen last year with a 51.79 on-ice shot attempt percentage at five-on-five (838 on-ice shot attempts for, 780 against). Additionally, Djoos added an assist in 22 games during the playoffs en route to the franchise’s first Stanley Cup. In 91 NHL games, Djoos has recorded 18 points (3g, 15a). Djoos was selected by the Capitals in the seventh round, 195th overall, in the 2012 NHL Draft. Djoos has represented Sweden at two IIHF World Junior Championships (2013, 2014) and one IIHF U18 World Championship (2012), capturing a silver medal at each tournament. Christian Djoos is the son of former NHL defenseman Par Djoos, who played for the Detroit Red Wings and the New York Rangers. This entry was posted in News and tagged Christian Djoos. Bookmark the permalink.